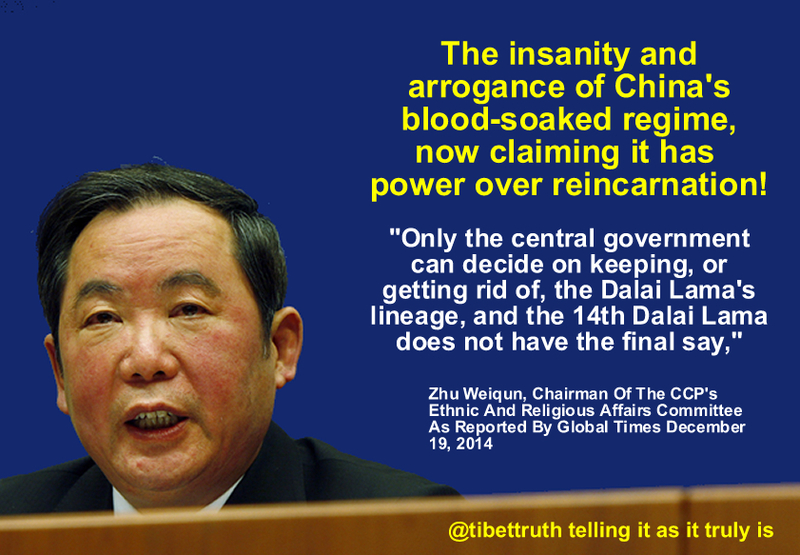 China’s Psycho-Regime Now Claims Power Over Reincarnation! The only authority that has the genuine credentials, right and cultural expertise and tradition to recognize any future Dalai Lama is the Tibetan people. China’s regime at best is limited to selecting and enforcing, through intimidation, bribery and propaganda upon Tibet, a stooge candidate. Such an individual will never receive the support or devotion of Tibetans!